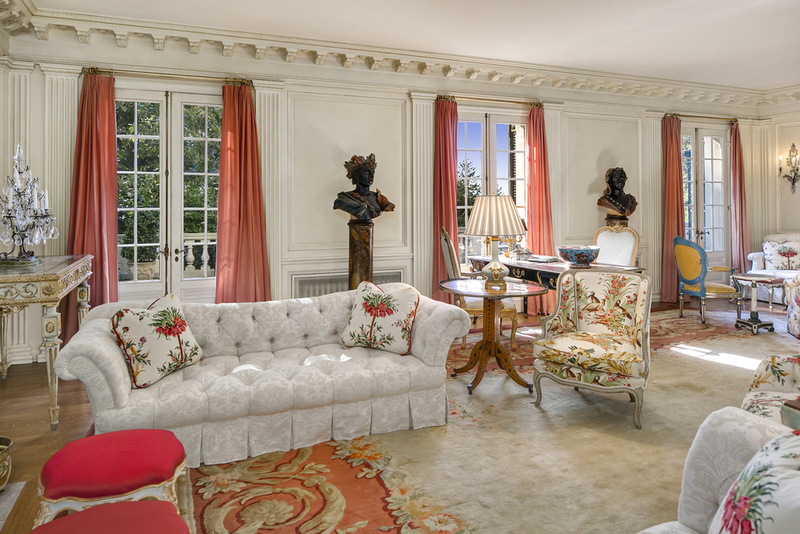 Once in an era, a truly iconic residence becomes available that can be said to have set the standard in its time and to have continued to do so throughout its existence. Houses of this stature are multi-faceted works of art, beginning with the inspiration that coalesces between client and architect, made whole through the craftsmanship and artistry that it takes to create them, and culminating in the unequalled atmosphere and presence that can only evolve through generations of passionate and dedicated stewardship. Such a home exists in The Highlands, one of the world’s most beautiful and rarified enclaves, situated on a bluff above Puget Sound. 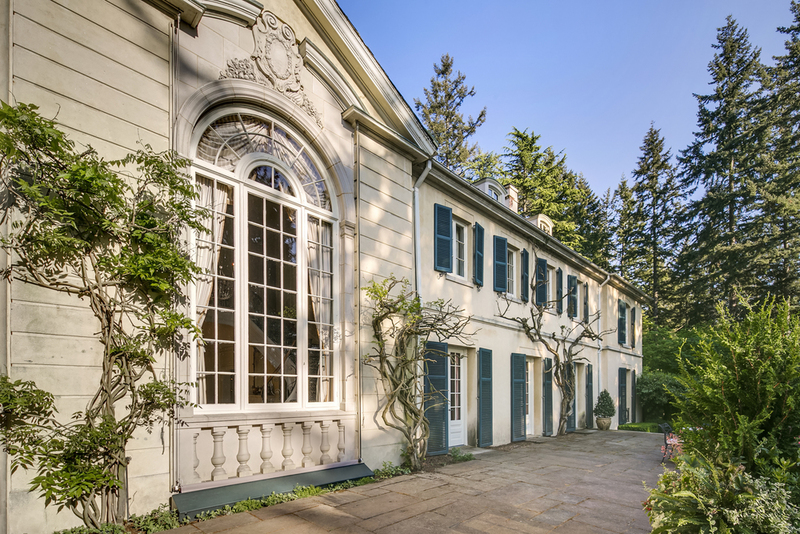 Designed by Elizabeth Ayer and constructed between 1927 and 1928 for railway heir Langdon C. Henry, the estate at 166 Boundary Lane is considered one of the grande dames of The Highlands. 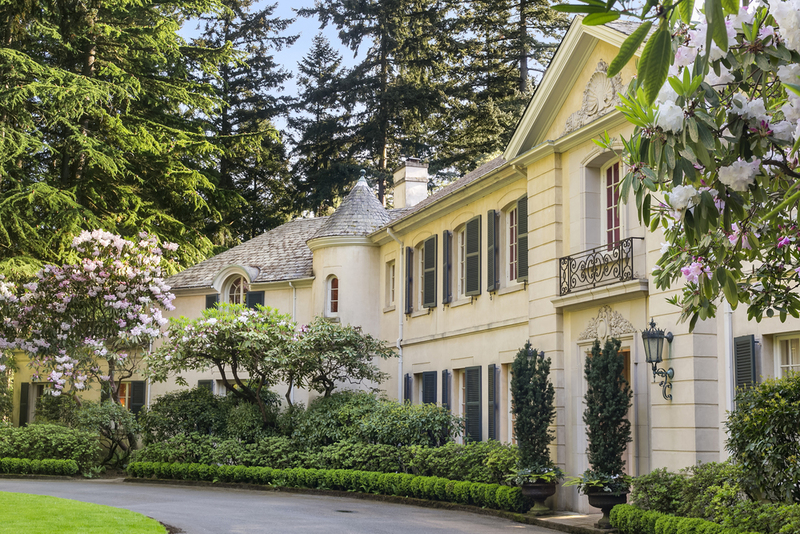 It comprises 8 bedrooms and 8 baths, artfully arranged throughout over 11,000 square feet of opulent living space, and it occupies over 4 acres of exquisitely integrated formal gardens set amidst unspoiled old-growth forest. "The residence is recognized for its perfectly proportioned beauty and elegance in a private community already internationally known for its exceptional historic architecture." In 1907 the famed Olmsted Brothers cut the ribbon on one of their most ambitious design projects to date, a community of homes meant to be as integrated with their natural woodland surroundings as the residents were with each other. The Highlands has 102 beautiful private residences with lot sizes ranging from 0.9 acres to 9.8 acres. Homes date from 1907 to 2007, and many have been substantially remodeled and updated. The Highlands shares a border with Seattle and Shoreline and lies within close proximity of the charming waterside town of Edmonds. It is an independent community with its own roads, sewage and water systems and community maintenance with Seattle underground utilities providing gas and electricity. The neighborhood is a 15-20 minute commute to downtown Seattle, via interstate, state highway and numerous surface thoroughfares. A private drive winds through groomed lawns and forest to arrive at a formal pond with a fountain in front of the magnificent main house. A stunning example of the refined Colonial revivalism for which Ayer is known, 166 Boundary Lane presents a perfectly symmetrical façade that hugs its ground and announces its majesty without pretense. Rows of shuttered double hung windows define two stories on either side of the center entry, while matched, hipped wings complete the house’s outer extremities and allow it to gently wrap around its circular drive. The residence is recognized for its perfectly proportioned beauty and elegance in a private community already internationally known for its exceptional historic architecture, and is further enhanced by the stage-setting drama of its landscaping. Elizabeth Ayer is responsible for many of the region’s most notable structures in the revival tradition. She was not only among the University of Washington’s first architecture graduates, but she became the first licensed female architect registered in the state of Washington in 1930. 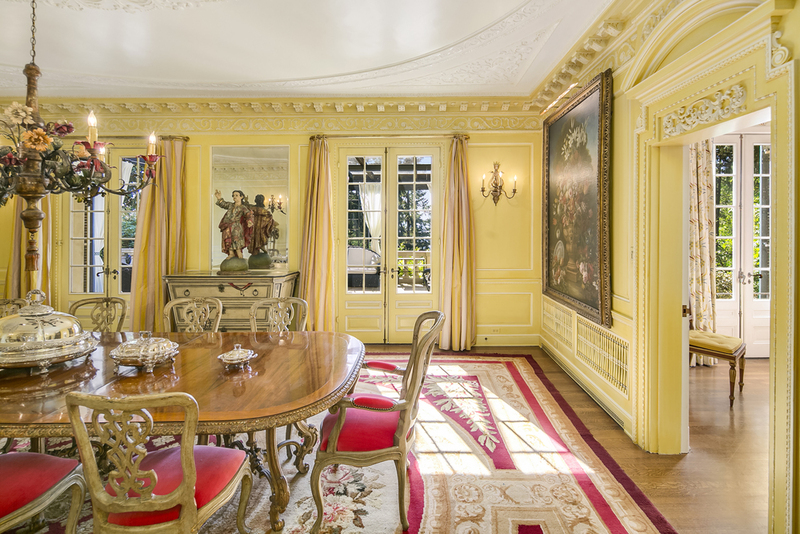 The opulently decorated and inviting living spaces of 166 Boundary Lane exist as an ode to the enduring style of Ayer’s architectural details, and as a meticulously maintained and continually evolved masterpiece by the renowned design firm of Parish Hadley. The main floor of 166 Boundary Lane consists of a formal central entry and stair hall with a long gallery, living room, library and private guest suite to the left, and dining room, breakfast room, kitchen, pantry and servant’s quarters and preparation areas to the right. The second level contains five completely unique bedroom suites each with its own sleeping, dressing and bathing areas. These rooms are sumptuous and serene enclaves in which to enjoy privacy and rest, and they are easily accessed either via the grand stair, or by one of two more discreet, stone spirals located at either end of each hall. 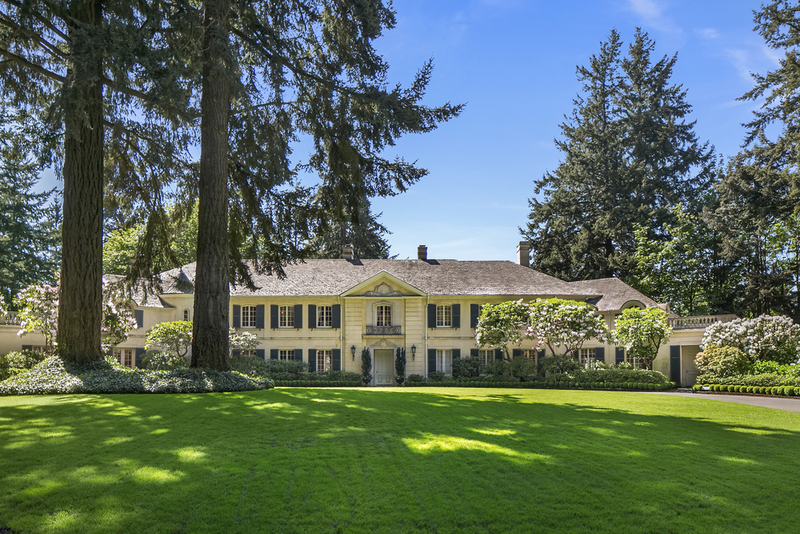 The main house is completed by a gracious, full-length patio off the back of the house that is the ideal location for languid afternoons and outdoor events, capturing spectacular views over Puget Sound, and leading to formal lawns by a pair of wide staircases.